“After Kardar’s retirement, Pakistan cricket was thrown to the wolves, the cricket bureaucrats whose progeny still rule the game,” Imran Khan once said of Abdul Hafeez Kardar, the father figure of Pakistani cricket. Pakistan has come down hard on their players after the team’s utterly-dismal showing Down Under. Some action was expected after the team’s winless campaign in Australia, however, it came as a shock that the knife was used in such a fatal and deep manner to render Pakistan cricket bleeding and on life support. You can almost feel that the players have been hard done. These are players at the heart of the hullabaloo that was created in Pakistan when the IPL did not pick anyone from the victorious T20 team of Pakistan. The treatment of the players by their own Board is far more sinister, evil and ugly than the one that was meted out by the private enterprise of Indian Premier League. The PCB banned Younis Khan and Mohammad Yousuf, from playing for Pakistan in any format for an indefinite period, while handing out one-year bans to Shoaib Malik and Rana Naved-ul-Hasan. Shahid Afridi and the Akmal brothers were fined Rs 2-3 million for various transgressions and put on six-month probations. Cricket writer Kamran Abbasi has been scathing and, in my view, brutally-honest in his criticism: “The reasons are several, some known others only to be guessed. Unfortunately the whole episode is an exercise in passing the buck. The architects of the disastrous failure of Pakistan cricket have investigated their own performance and decided to blame some other people, the players. Botham’s cheeky comment apart there has been a long period in Pakistan cricket where they had a man who led with distinction and moulded the raw talent of the country into a serious cricketing force. As a captain there would be few, if any, who could match Imran Khan’s leadership qualities and have so much to show in terms of team performance. I have heard Imran Khan say more than once on TV shows that the greatest team that ever took the field was the West Indian team of the 1980s but there have been few who have spoken much about the team that the West Indies could never really conquer during their years in the ascendancy. When cricket was a war zone in the 1980s with the West Indies possessing a lethal battery of fast bowlers there was only one opponent that stood its ground amid the debris that the great West Indian team left in its wake. Rob Smyth did a commendable piece on the Pakistan team led by the great Imran Khan that stood up to the West Indian juggernaut that crushed much of the cricket world and wondered why that fabulous team of Pakistan finds no mention in cricket’s pantheon? “This was a team that had almost everything, based around their two contrasting champions: Imran Khan and Javed Miandad, lover and streetfighter, stallion and rapscallion, regal leader and rascally lieutenant. Not that they were alone; quality and ruggedness oozed from every pore. There was an ultra-patient top order, including Mudassar Nazar, the resourceful Ramiz Raja and Shoaib Mohammad, whose methodology made Chris Tavare seem skittish; the majestic middle-order pair of Miandad and the bad-wicket genius Salim Malik, buffeted by Imran at No 7 and the wicketkeeper-hitter Saleem Yousuf at No 8. As threatening and demolishing as West Indies were they could never get the better of Pakistan even once during the period when Imran led them and both teams can lay claims to how precariously close they came to winning a series against the other. The clashes between the two teams during the late eighties are unbelievable scraps and if that was what Pakistan produced in every single series against the might of West Indies then this decline of Pakistan can again be compared ironically to that of the West Indies. An indifferent performance from Pakistan amid some sparkling cricket is what keeps the fans going but a meek surrender like the one in Australia was certain to cause unrest among those who have seen the battle-hardened side of Pakistan cricket. That the unrest would lead to an act comparable to a surgical incision of “malignant tissues” just serves to show the furious side of cricket administration in Pakistan. This is what Cricinfo’s Pakistan editor Osman Samiuddin said: “Nothing is permanent in Pakistan. It is worthwhile to bear in mind the summer of 1976, when a similar battle erupted between board and senior players. It was a petty pay dispute, but it soon flowered into an almighty ménage a trois of ego clashes between the country’s prime minister, Zulfiqar Bhutto, a close aide and minister Abdul Hafiz Pirzada and the board chairman AH Kardar. Kardar sacked six big names, including Imran Khan, before a major tour to Australia. Within days, however, Pirzada—with Bhutto’s tacit consent—had taken temporary control of the board, reinstated the players and Kardar fell in a matter of months. 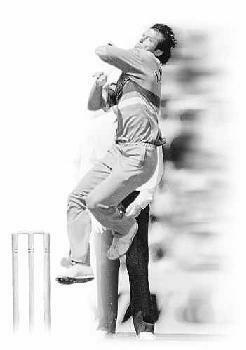 Old folks say that marked the beginning of unchecked player power in Pakistan cricket, the rise of the superstar. Some might see 2010 as the end of it.